“Sinfonías del Terror Ciego” is a master-crafted putrid Grinding Death Metal ode to Machetazo’s fellow countryman De Ossorio’s 70’s Euro-Horror cult film trilogy about the Blind Dead Templars. First repress ever for this 2005 cult piece of work. Machetazo’s 3rd album got pressed in a limited edition of 500 copies back at the time (while all their other albums on vinyl got a 1000 copies treatment). Therefore, there are almost 100 people wanting this vinyl on Discogs alone, with prices swinging around 40~50 € a piece. That’s why Machetazo and Throne decided to arrange a very limited repress of just 100 copies on colored vinyl (75 out of these will be the classical Throne hand-numbered Collector’s Edition), and 200 copies on black vinyl, worldwide. → COLLECTOR’S EDITION: SMOKE VINYL; clear with black marble effect vinyl. Production is already on course. Test-pressings have been approved. Expected to be out and shipping by mid April 2019. This edition is exclusive for Throne Records mailorder. 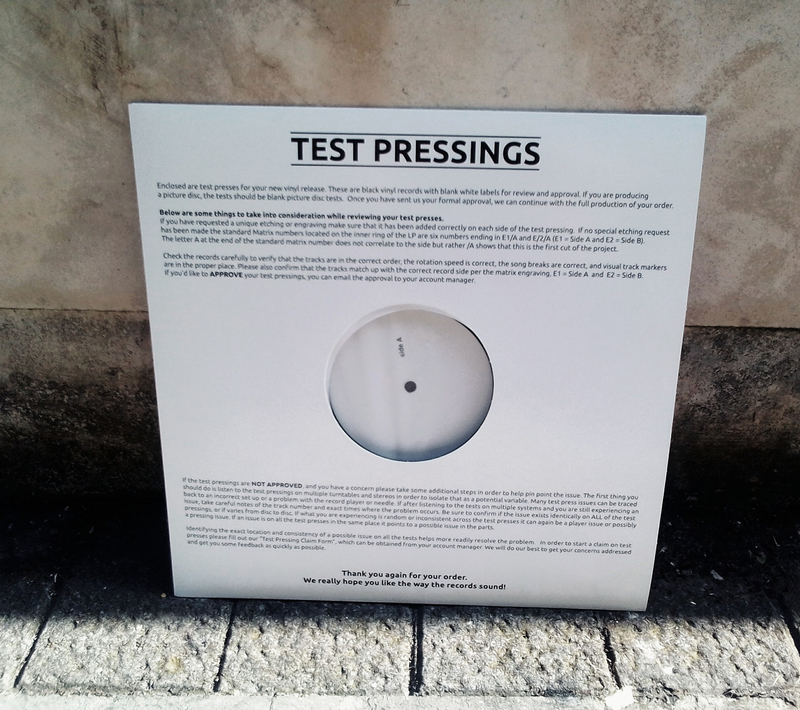 There are also 3 copies for sale worldwide of the TEST-PRESSING EDITION. This new pressing contains revamped artwork, including all new liner notes from Dave Wagner (Evoken), Pierre De Palmas (Braindead Mag.) and Doc Holocausto (Evilspeak Mag.). ← EL ALTAR DEL HOLOCAUSTO: Nuevo álbum – I T – y nuevos rituales.